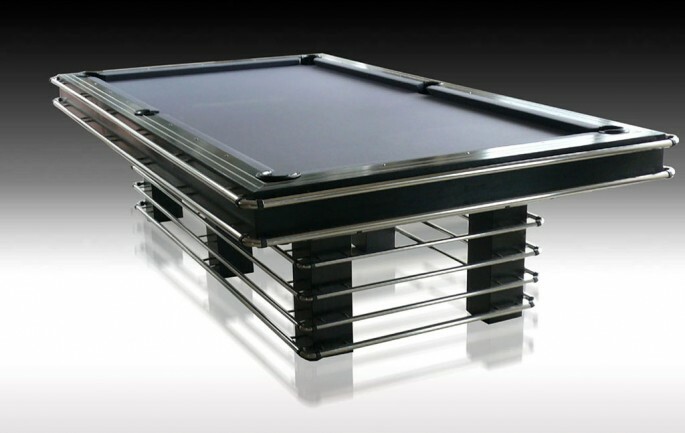 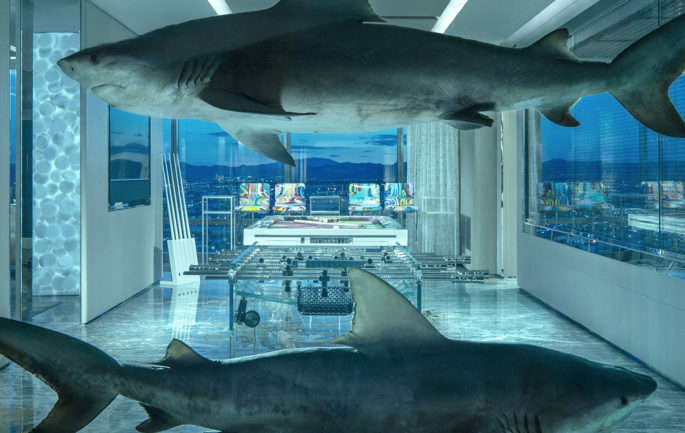 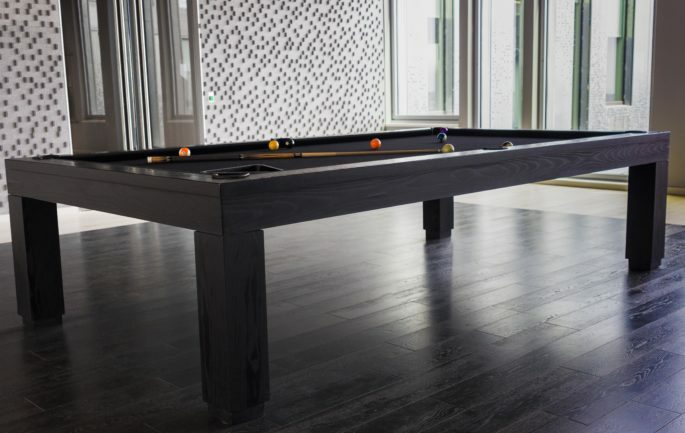 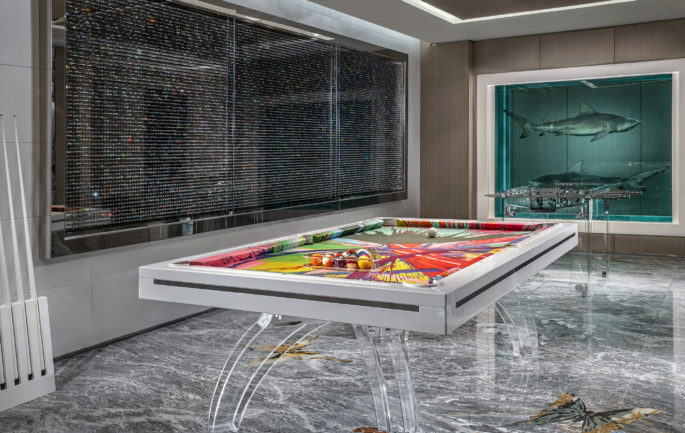 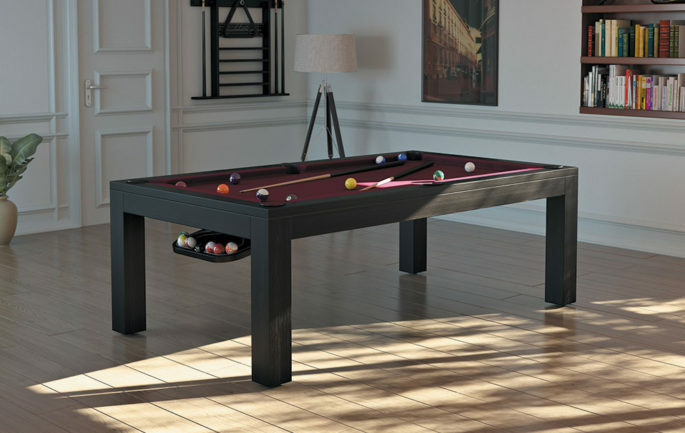 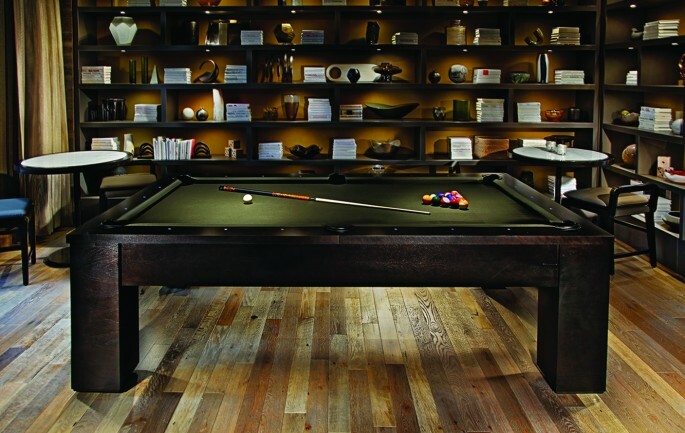 A unique billiard table with a metal leg structure. 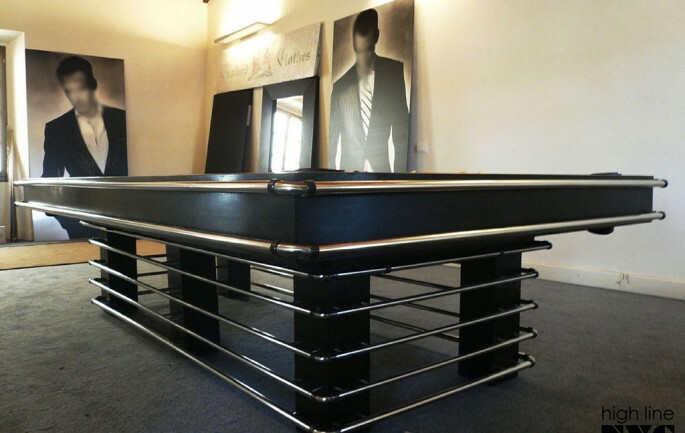 Select any RAL powdercoat color for the top frame and also for the legs. 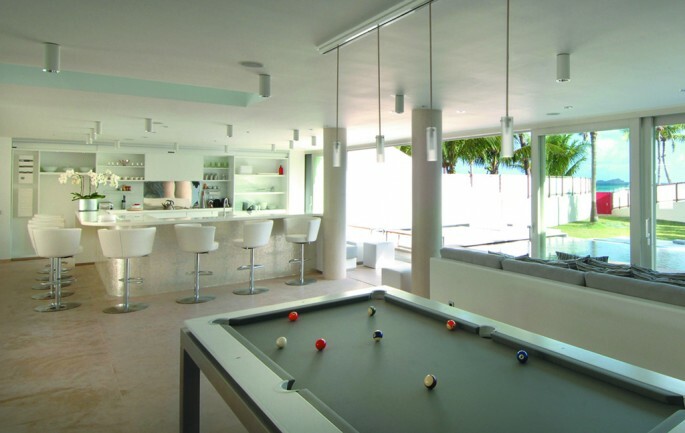 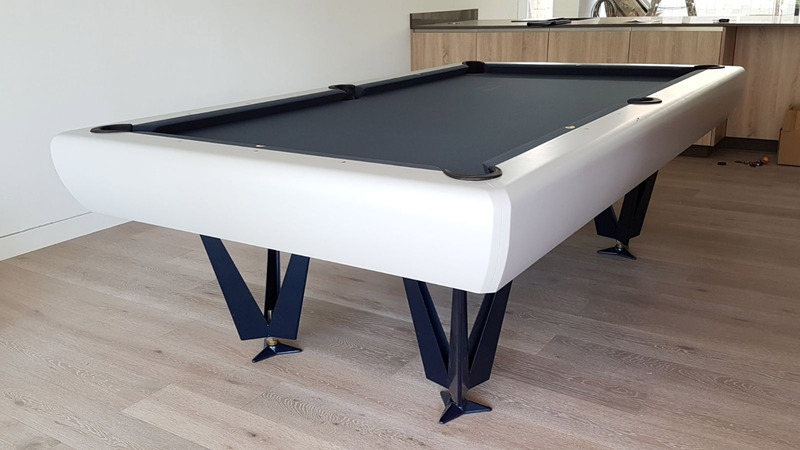 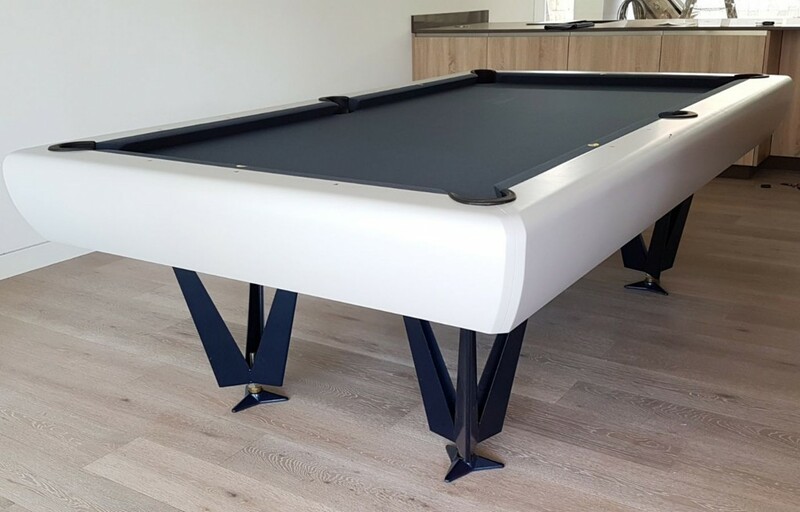 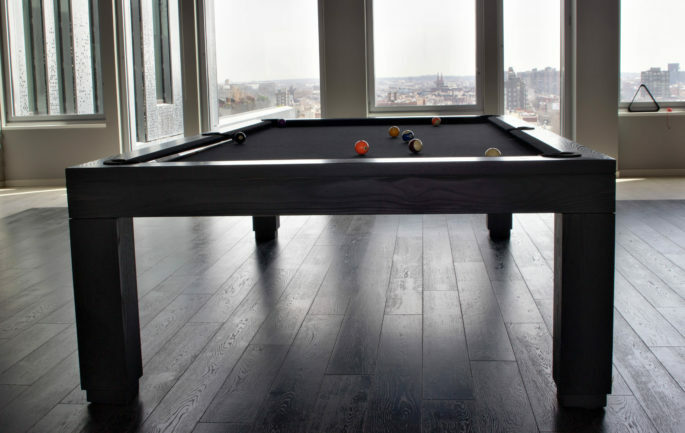 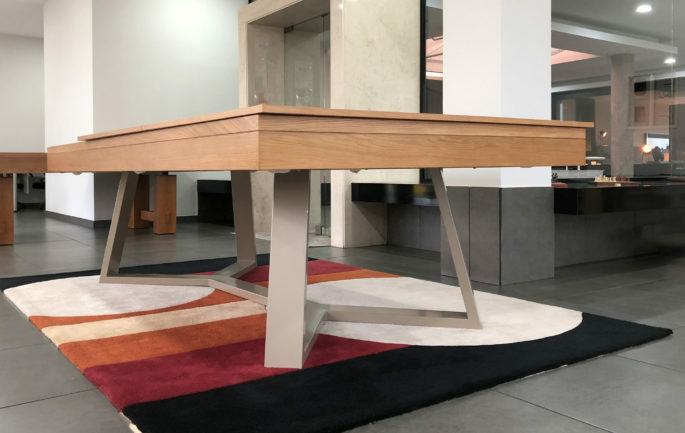 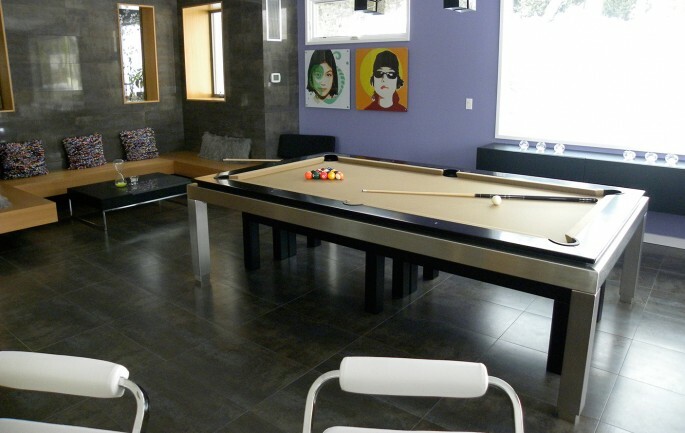 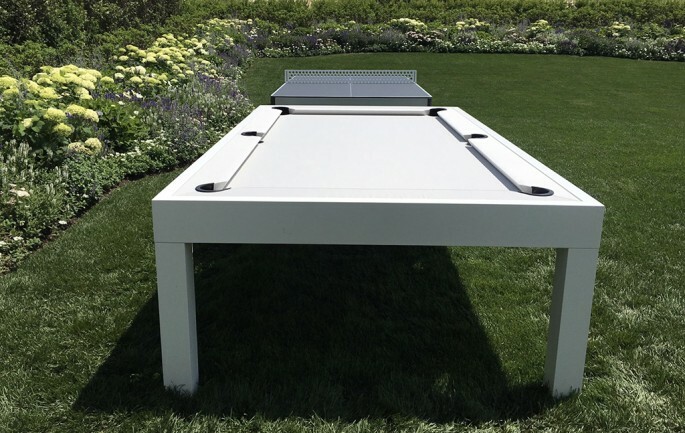 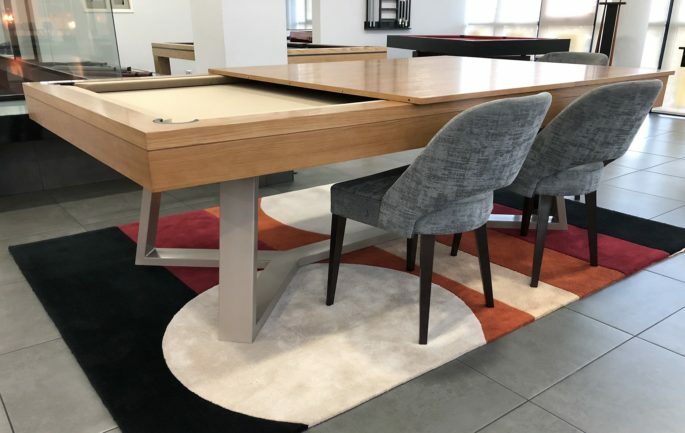 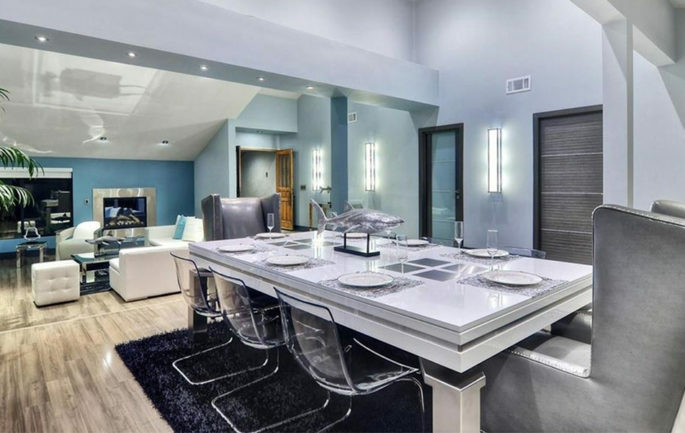 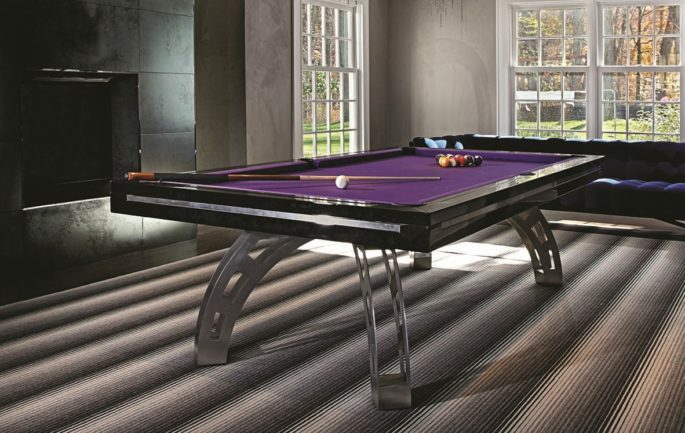 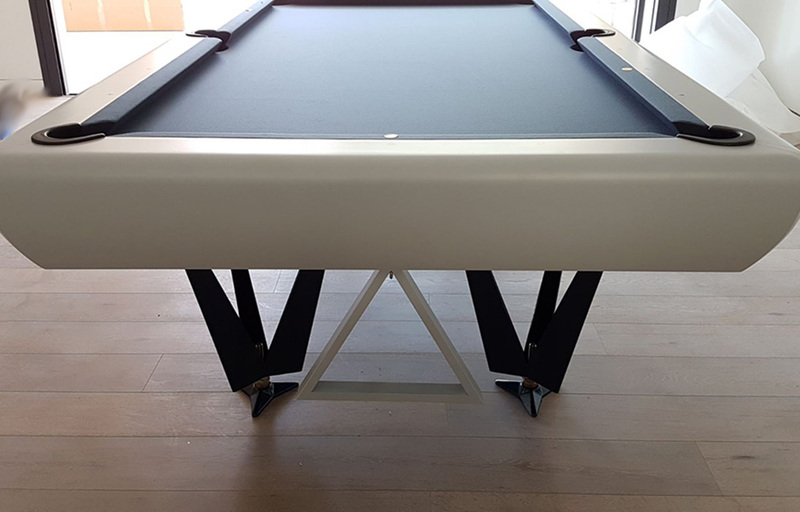 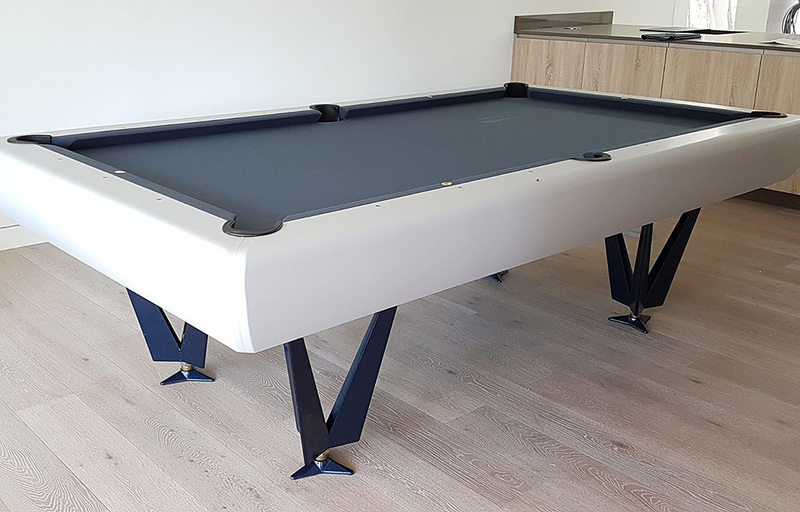 Photo shows the table in a light grey top frame with blue legs and titanium championship billiard fabric.